Thank you to Jane Anthony and Patricia Brazier for the following research. John Francis Barnes was born on the 6th April 1892 the second son of James Charles and Elizabeth Barnes. He was baptised at the Parish Church in South Holmwood. John’s Mother Elizabeth Mary died in 1895; his father married Henrietta in 1897. In 1901, John and his family are living in Holly and Laurel Cottages in South Holmwood. John is 9 years old and he has two brothers, James aged 17, William aged 7 and two stepbrothers, Charles aged 3 and Archie aged 1 and one sister Alice aged 13. They were all born in Holmwood. John’s father, James is a Bricklayer. John attended South Holmwood Church of England School from April 1896 until August 1906, when he started work at the age of 14 as a gardener at Minnickwood House, Holmwood, where he stayed until he joined up. In the 1911 census the family are still living at Holly and Laurel cottages. John is now 18; he and his brother William are Gardeners. John now has three more siblings, stepsisters, Agnes aged 7, Edith aged 3 and Dorothy aged 1. John was a volunteer fireman in the Holmwood Brigade and acted as a Special Constable. He enlisted into the Queens West Surrey on 10th December 1915 at Dorking. His address then was 1 Forge Cottages, Holmwood. He went out to France on 5th May 1916. He was shot in the left arm on 28th July 1916 and was treated at the Canadian casualty station and then transferred to No. 35 General Hospital in Calais. He was discharged on 22 August 1916 and returned to the front. His battalion were involved in many battles around Flanders, Fleur Corcellette, Transloy Ridge and Messines. His battalion were in trenches around Dammstrasse three miles south east of Ypres when John was killed by a shell on 27th June 1917. His battalion relieved the 26th Battalion at Olive Trench, in Ravine Wood on the Hollenbeke Road. 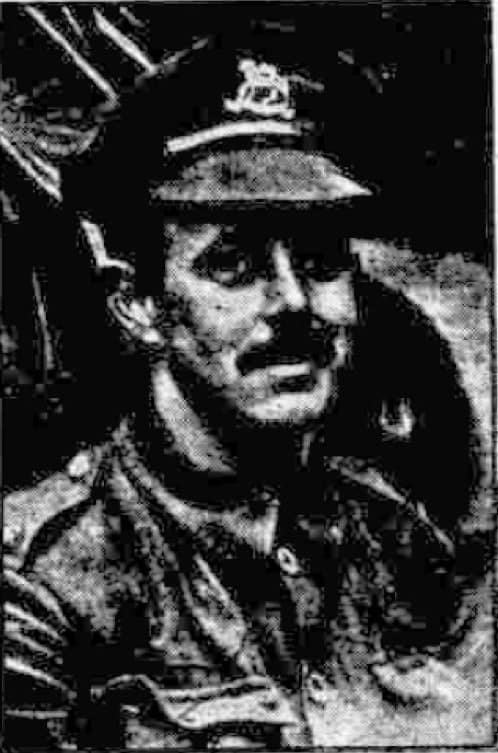 The held the trench until they were relived by the 27th Battalion Royal Fusiliers on 27 June, during this time one officer and 19 other ranks were wounded and one officer and 8 men were killed; one of those killed was John Barnes. John has no known grave his name appears on Bay 13 Stone G of the Menin Gate Memorial. John is also remembered on a memorial at the Fire and Rescue Headquarters in Wray Park, Reigate.